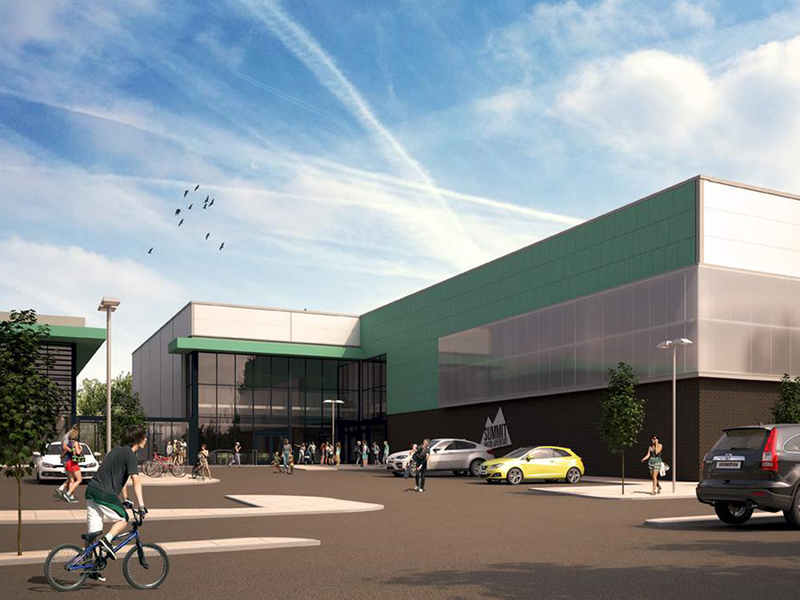 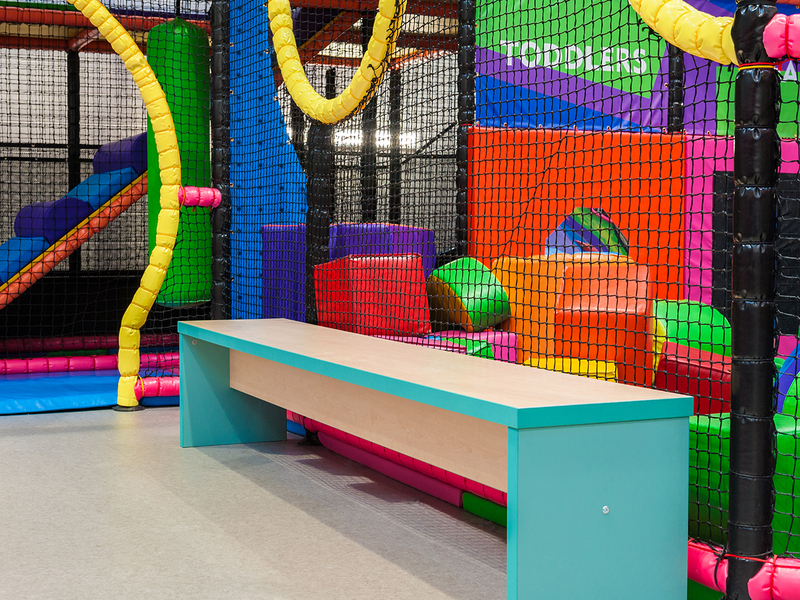 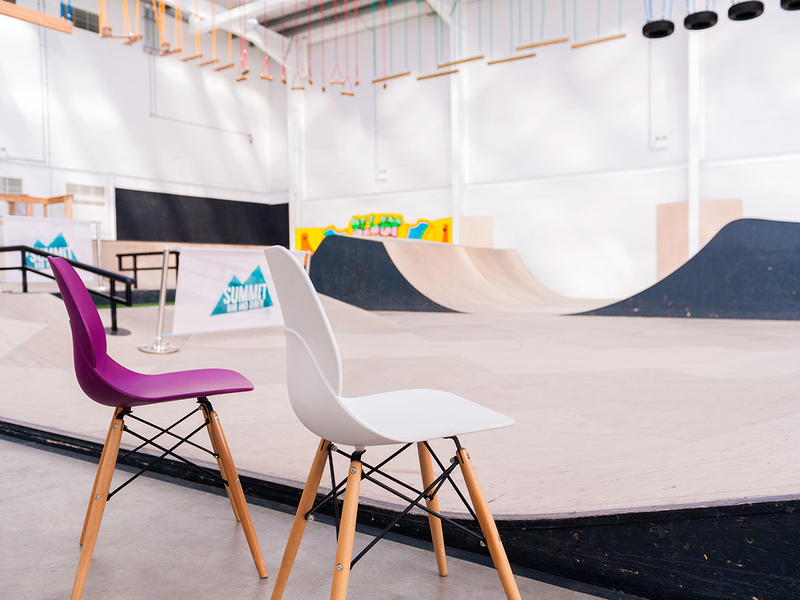 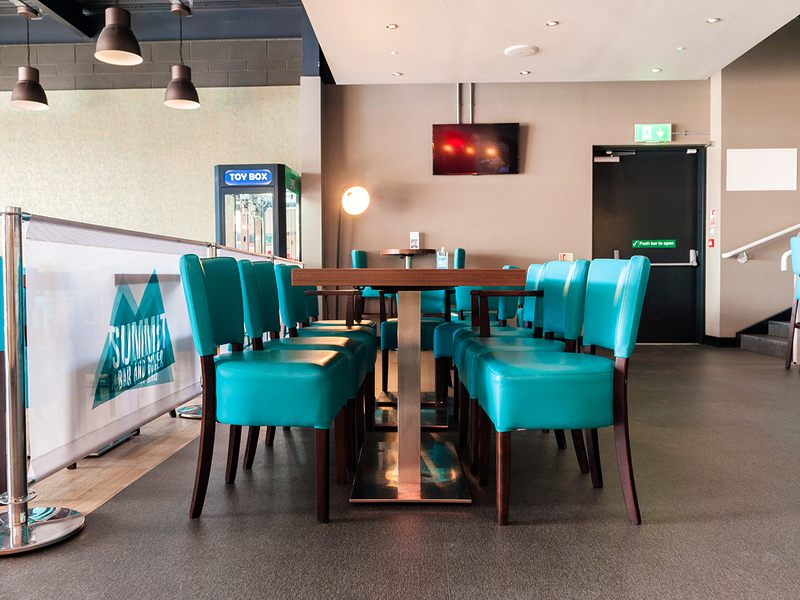 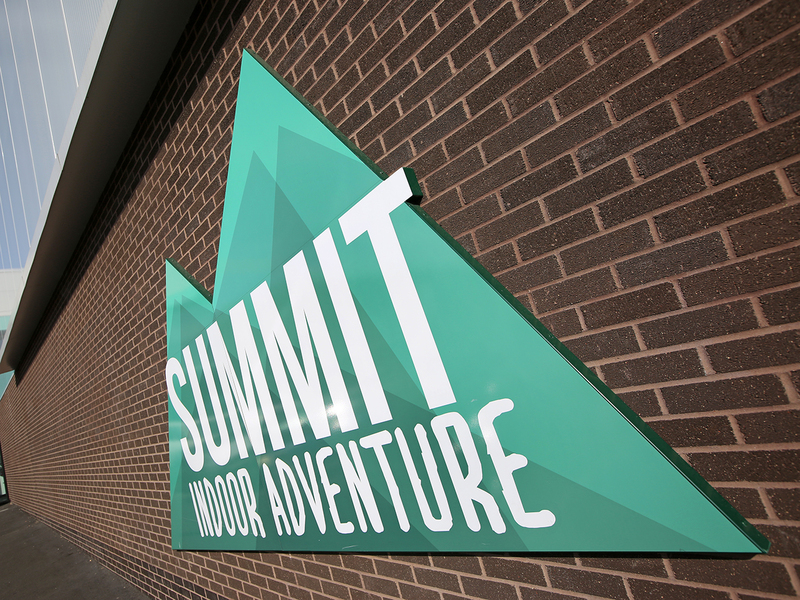 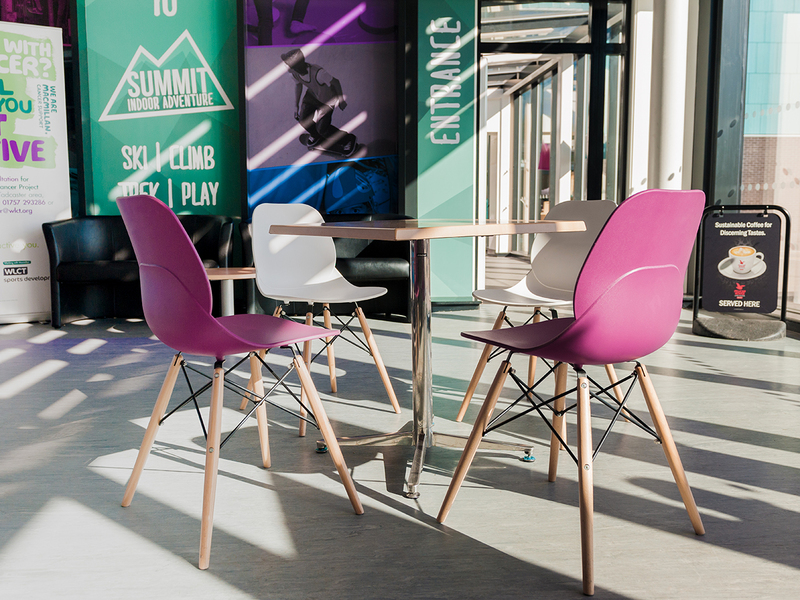 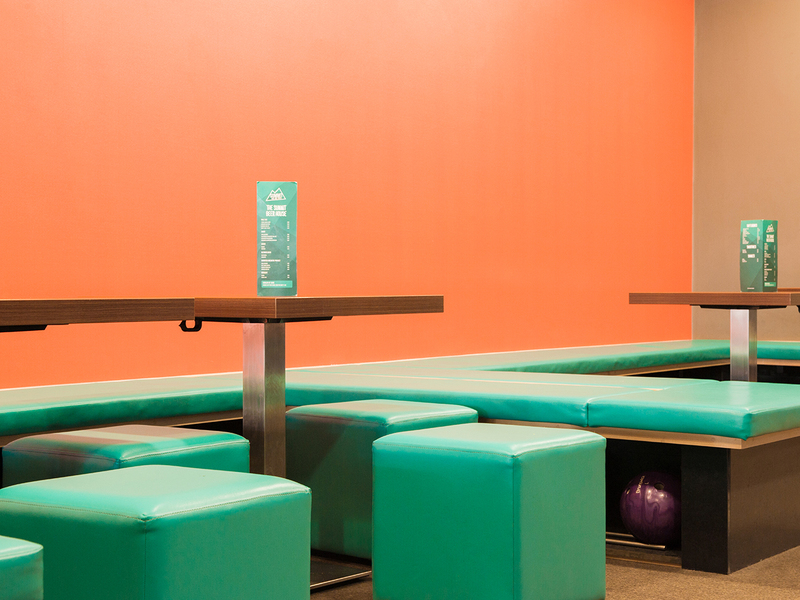 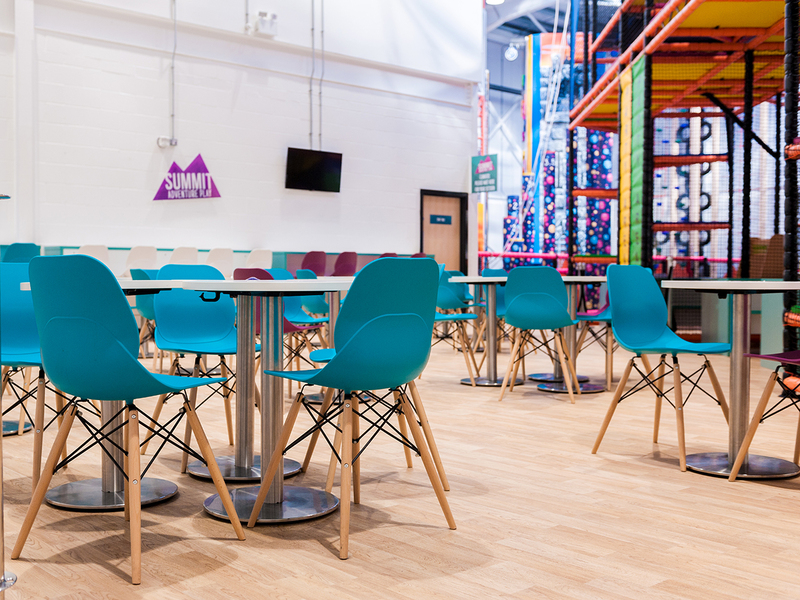 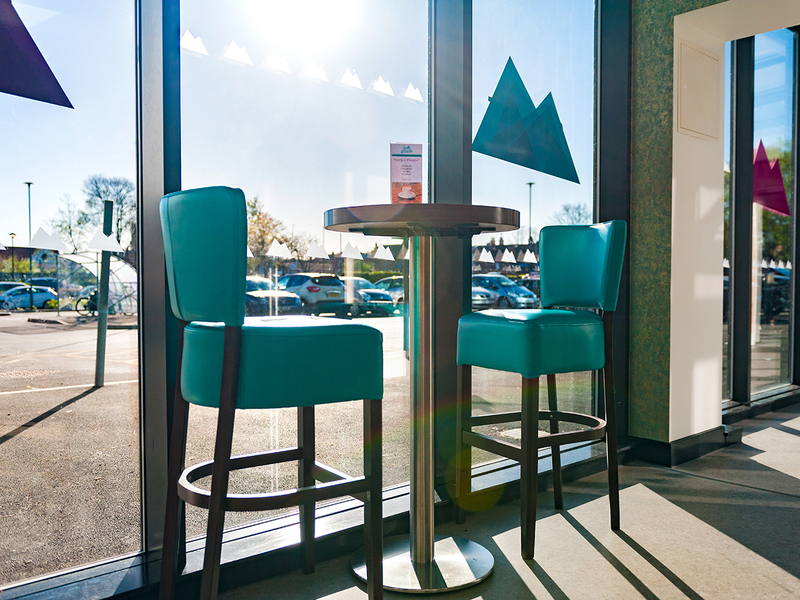 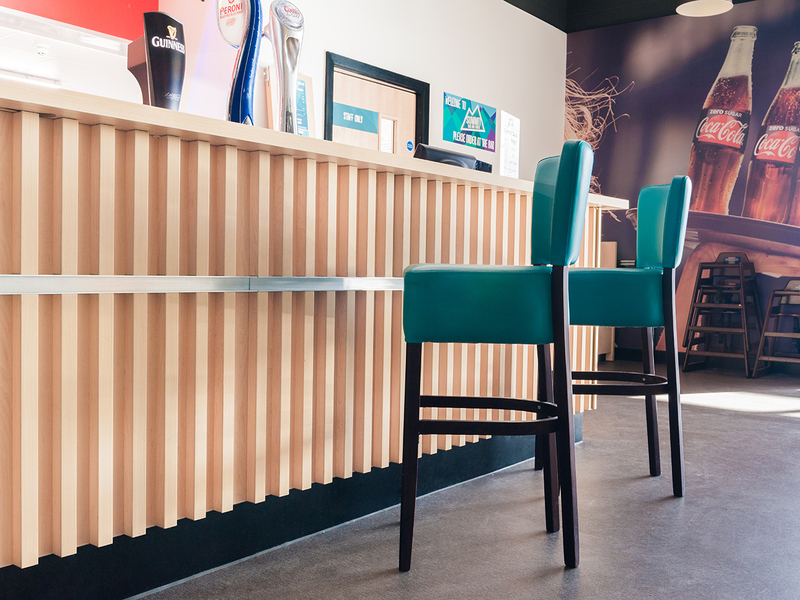 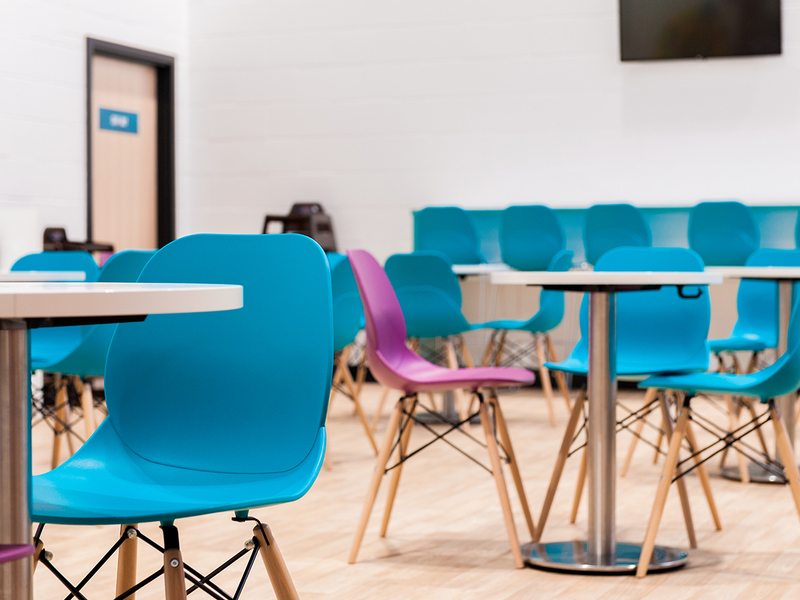 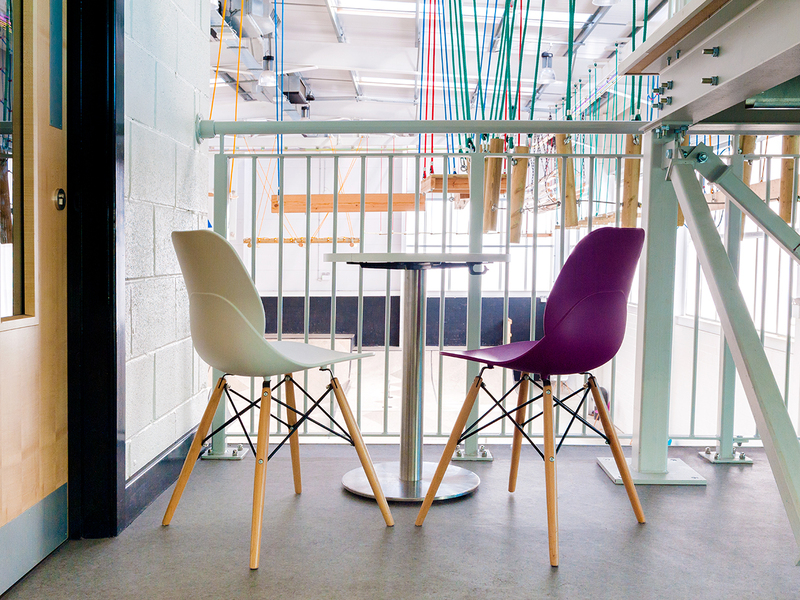 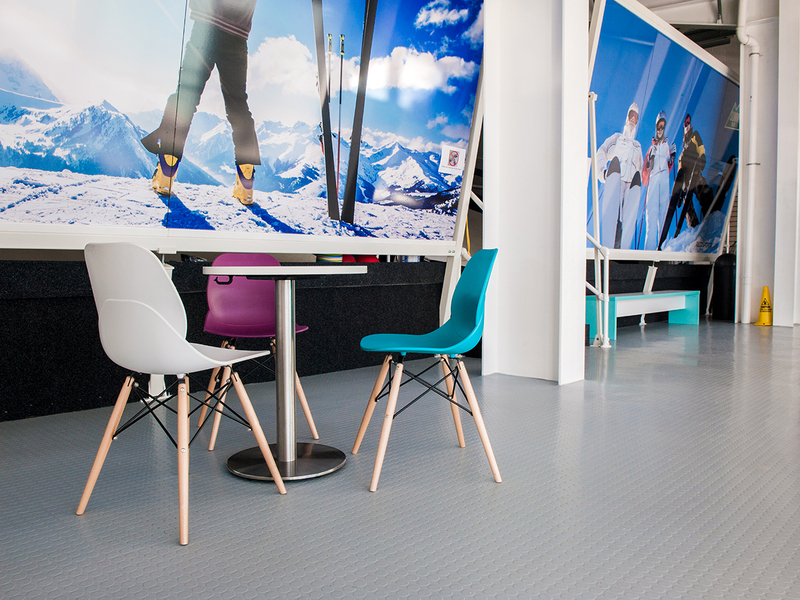 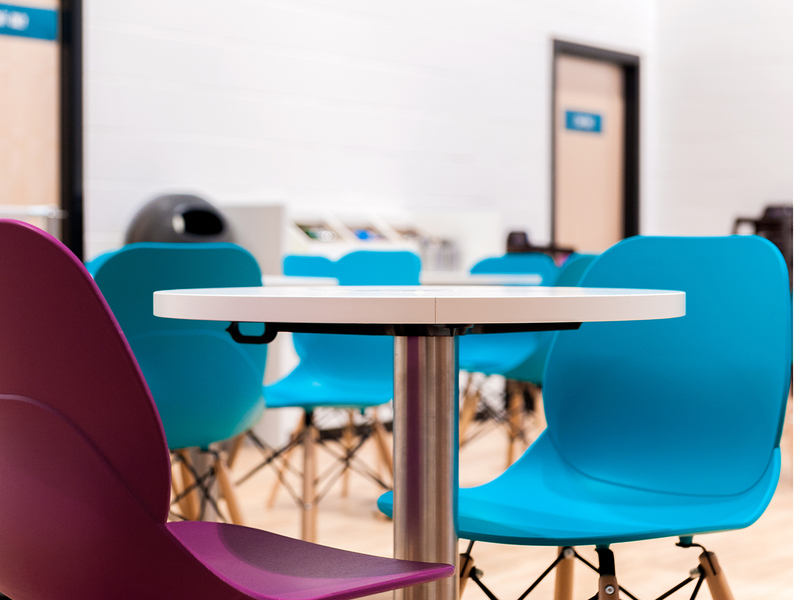 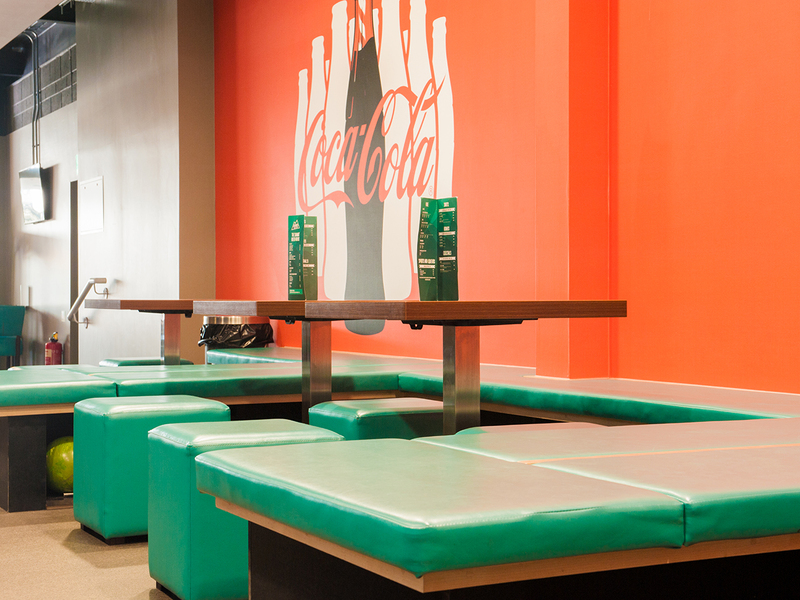 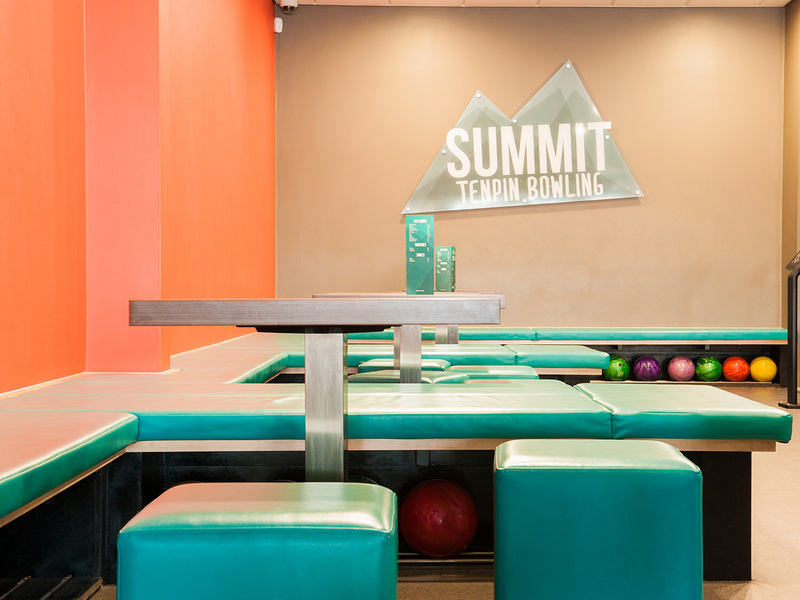 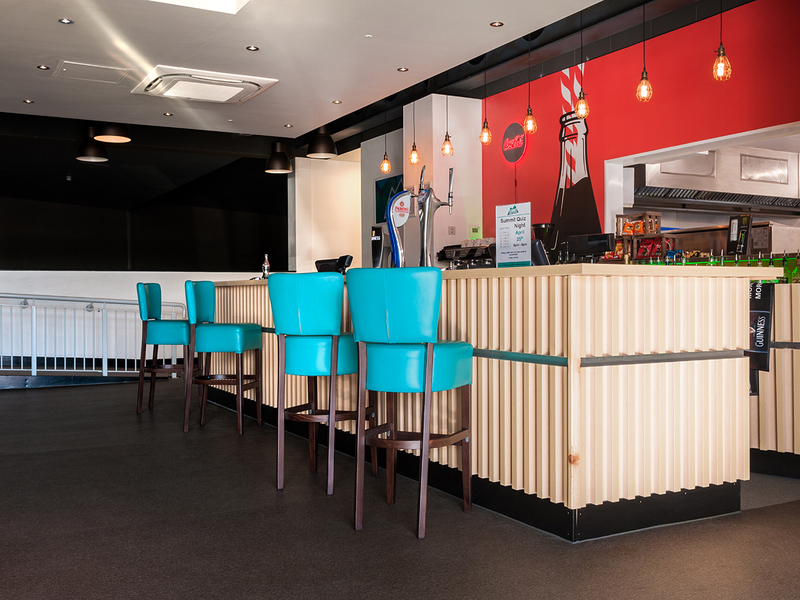 The Summit Indoor Adventure within North Yorkshire's Selby Leisure Village is a popular destination for thousands in the area and JB Commercial were asked to realise the look suggested for the interior by the designers, bringing a splash of colour and modernity to the space. 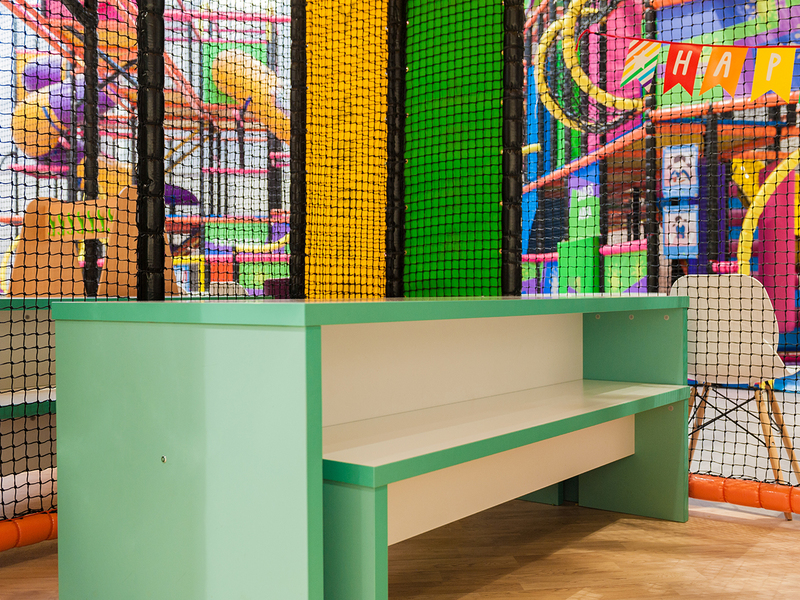 The challenge was to create numerous zones throughout the spacious environment, sections made up of a cafe, restaurant, break-out area and rooms designed for childrens' parties. 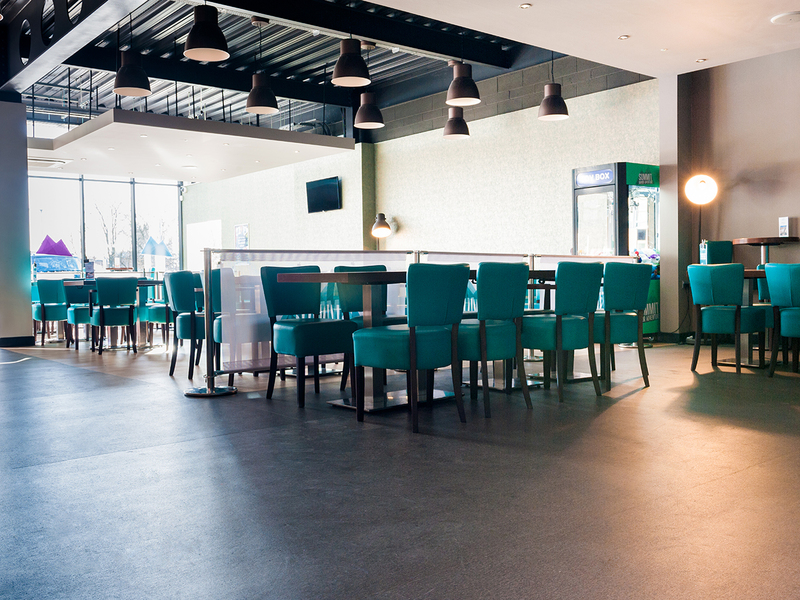 It was a significant project that required good communication with our client - something we pride ourselves on - and we were proud of the finished look of this most varied of venues. 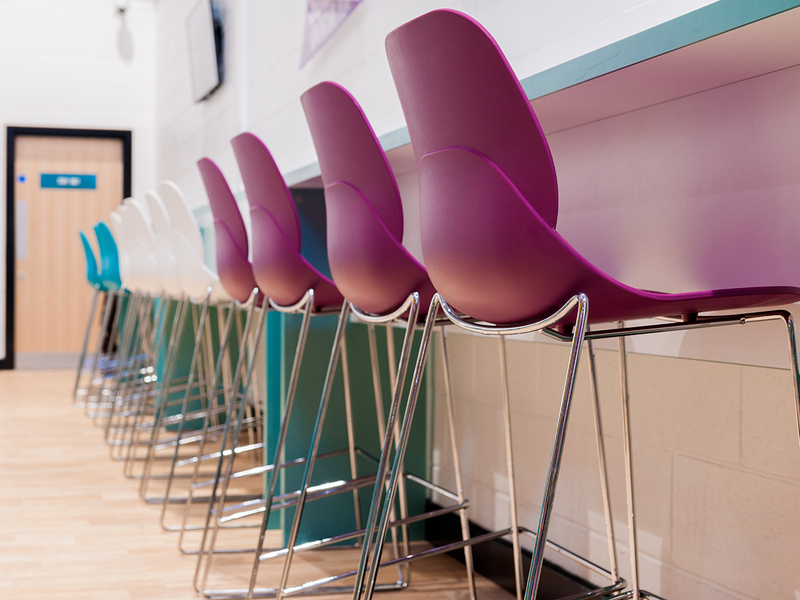 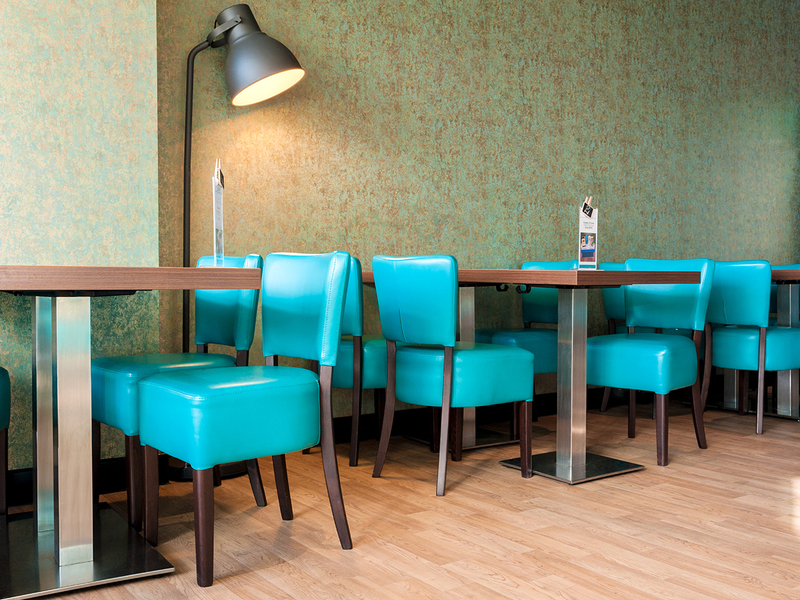 The cafe was dappled with a cornucopia of colour; white, turquoise and plum Bank sidechairs were used to contrast the brushed metal and walnut style of the classic Bounty tables, everything combined to make a gorgeous environment for guests. 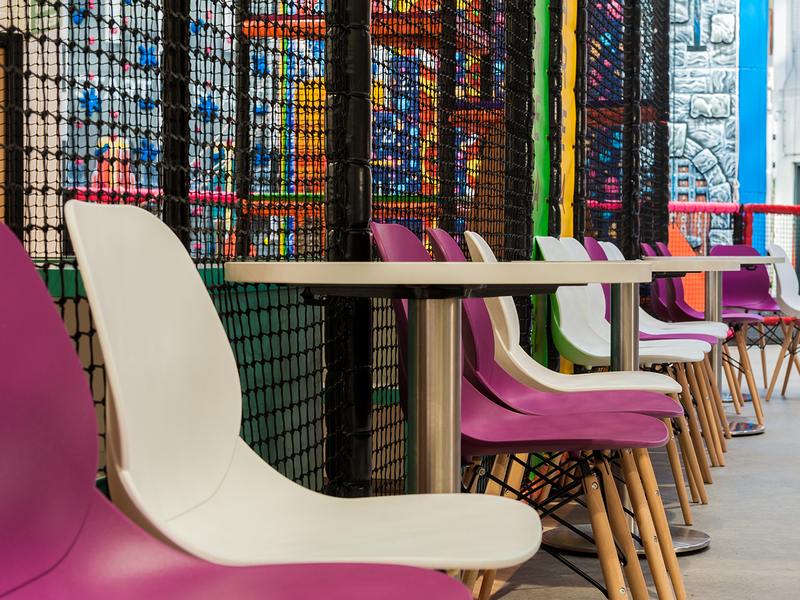 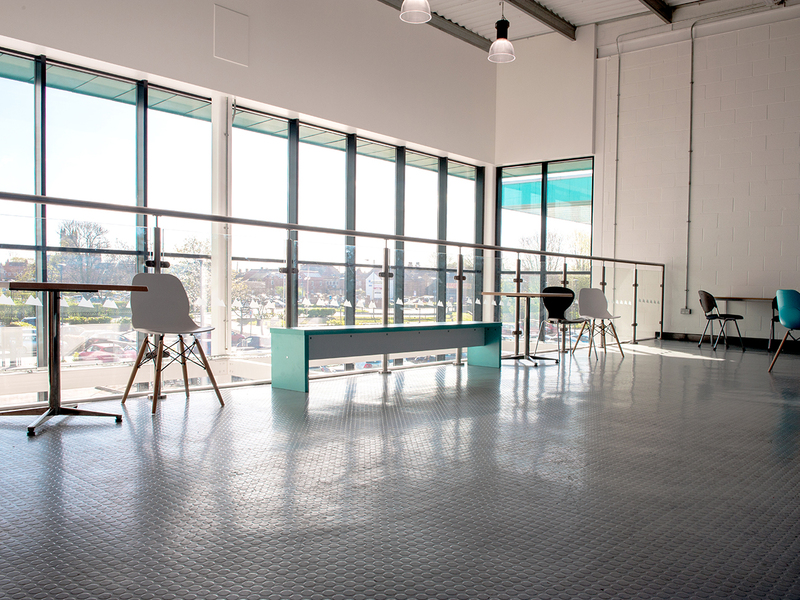 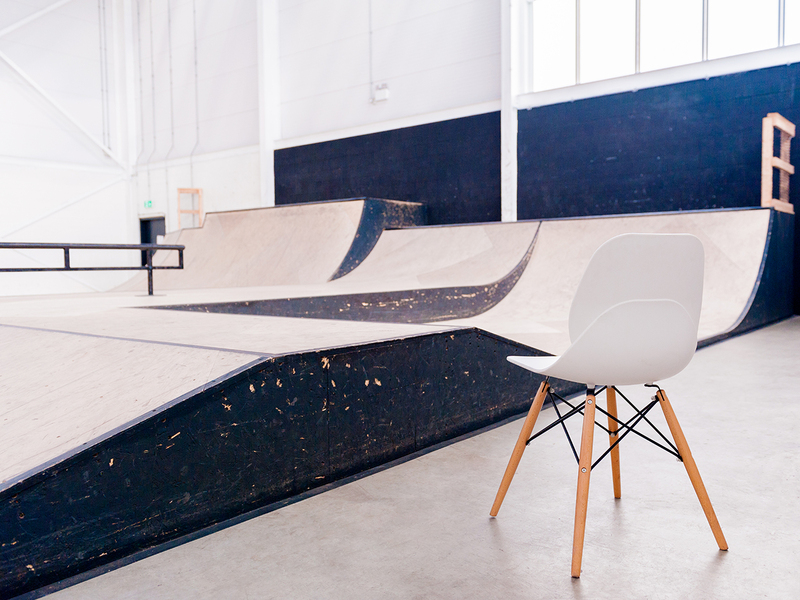 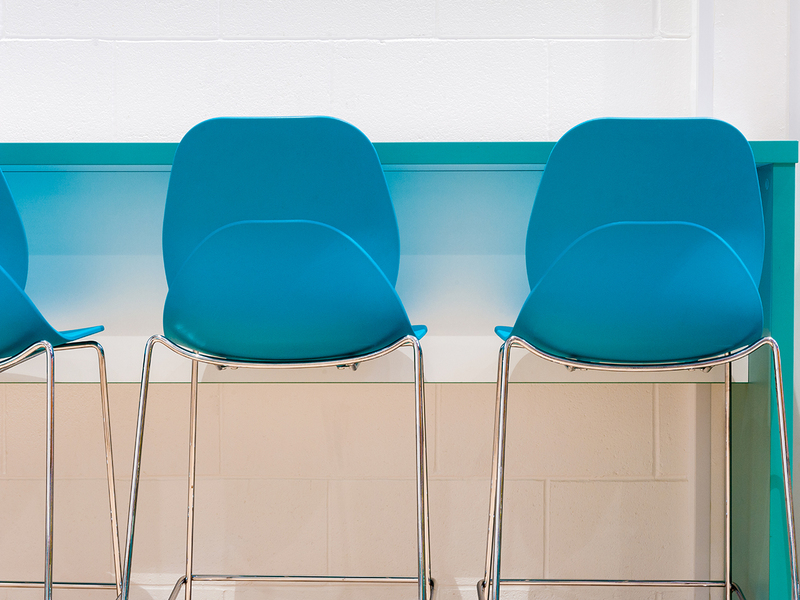 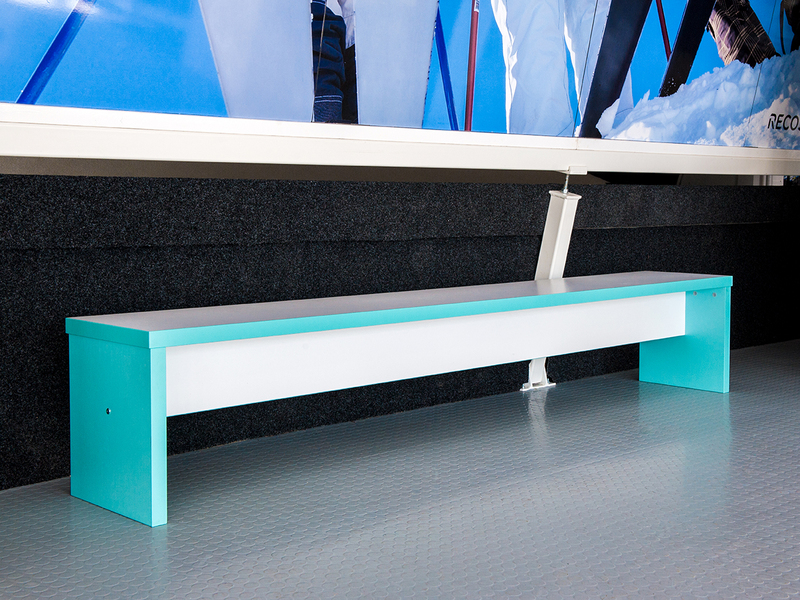 For the childrens' party areas our superb Slab End range came into use: long, colourful bench-style seating and tables that enable informal eating without sacrificing the high quality of the other parts of the venue. 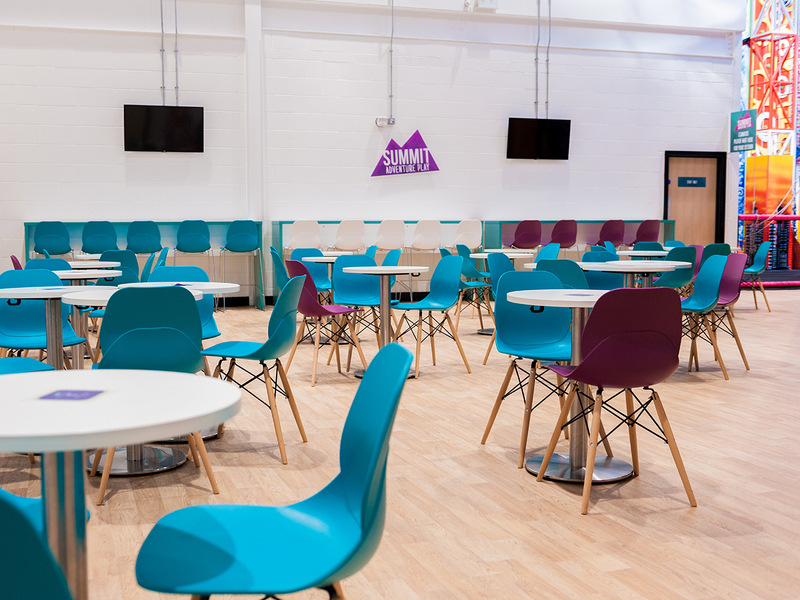 For the more formal zones the design was switched to the Alpine range which brought classic wooden framed chairs furnished in high quality Sunbury design fabric into the leisure village environs. 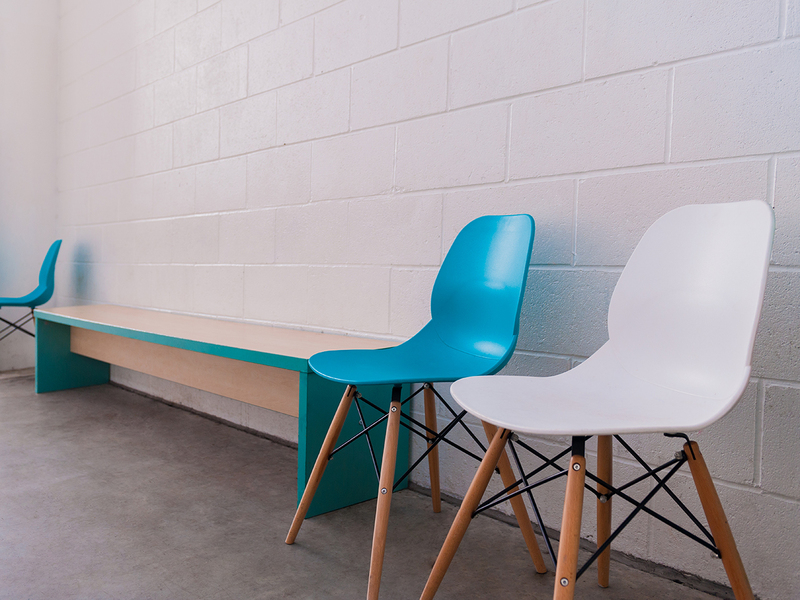 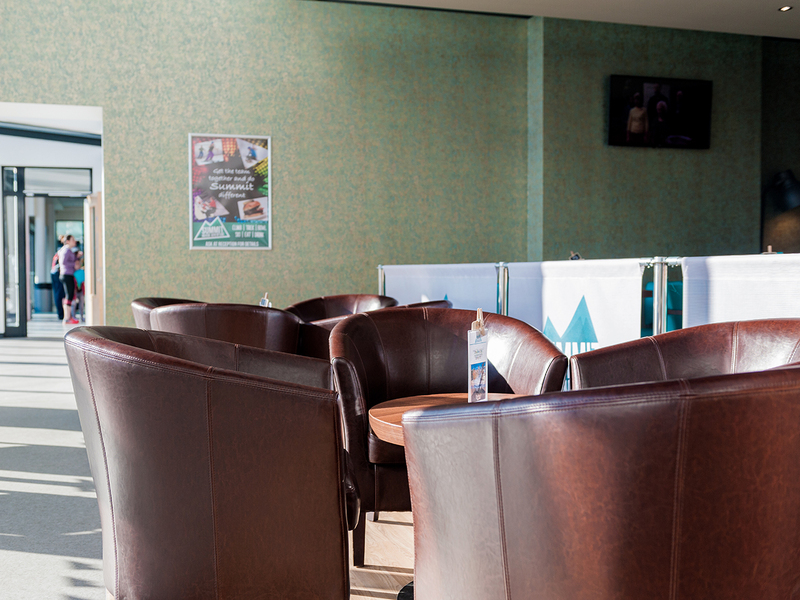 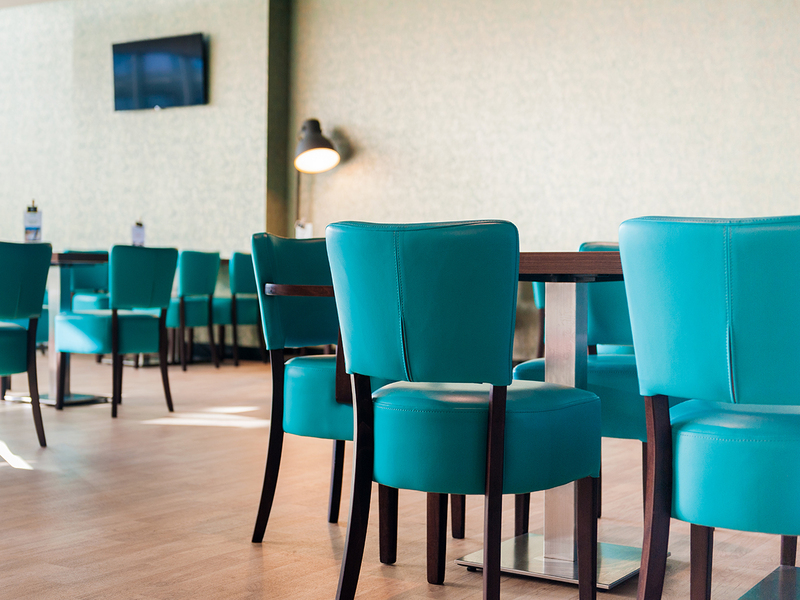 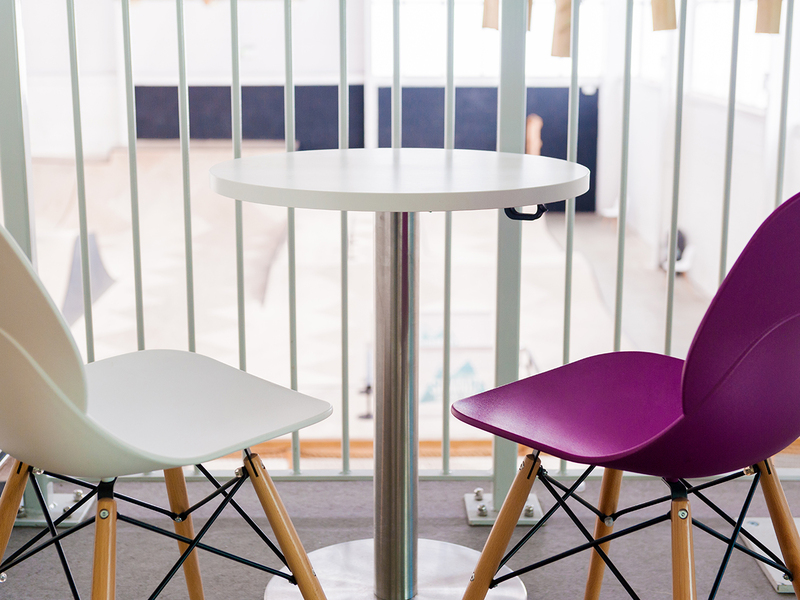 To finish the project, attention turned to the breakout area which utilised an array of high quality sofas and tub chairs - our best-selling Bristol range was the perfect fit for this finishing touch. 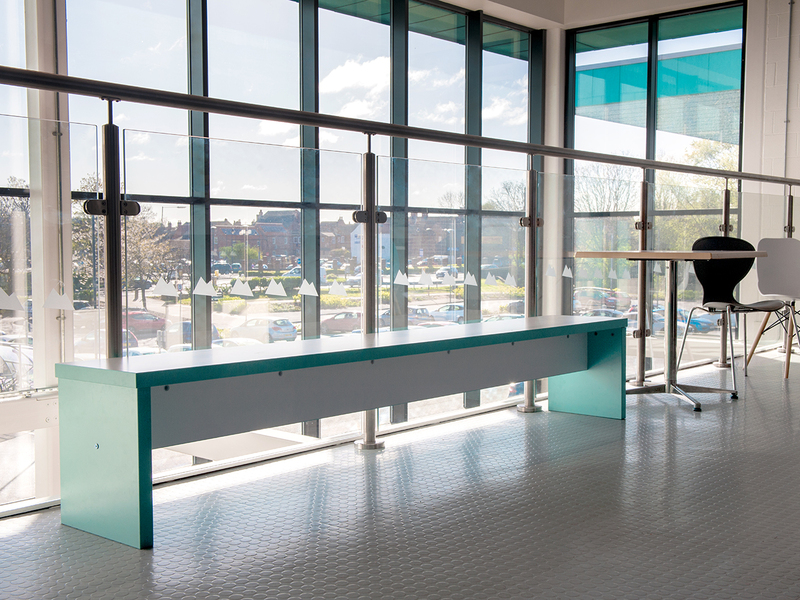 Our White Glove service ensure that all items were installed, all packaging taken away and everything was ready for an influx of visitors the next day.